Tis the season to link up! 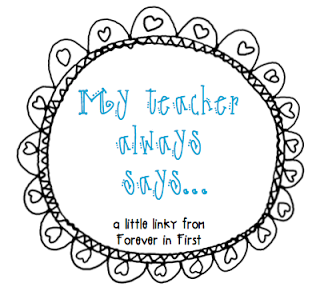 Today, I am linking up with Tammy, from Forever in First, and letting you all know some of the things I say over and over again to my students. At the end of the day, when we are ready to pack up and I do my final clip up of the day, we play the quiet game. I say the above to start the game. 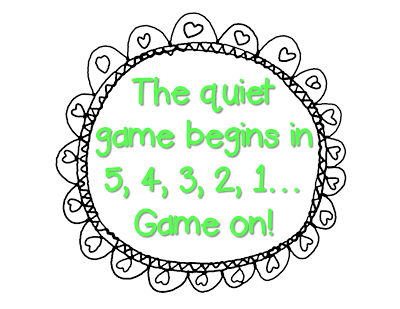 If the children talk during the quiet game, then they don't get their star for the day. The leader of the day puts the stars in the chart. When this task is done, the leader tells the class the quiet game is over. I love a nice, quiet, calm pack up! And so do my students. Whenever a child tells me that so and so said this or did that, I say the above, as long as it isn't anything too terrible. I want the children to learn to ignore these little annoyances and not let every little thing bother them. If it's good enough for me, it's good enough for them! I am a huge fan of Whole Brain Teaching, and I made up a few of my own ways to get the attention of my class. This is one of my favorites because they say it back to me. Of course, they say, "Yes, dear, yes!" I love to be called dear! And I always say it in a sweet voice, as do they. Sometimes, I substitute sweet for the word dear. 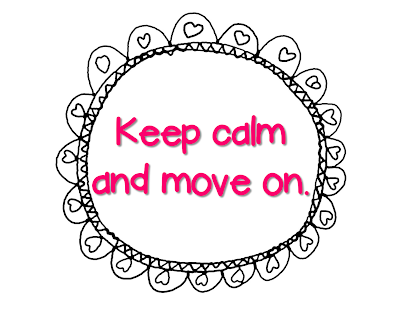 This is another of my made up Whole Brain Teaching mantras. 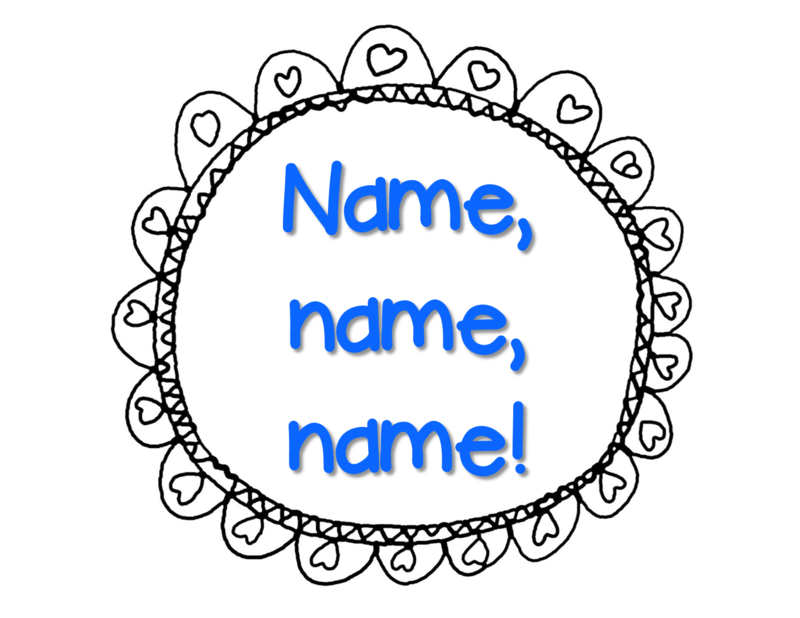 Whenever I need my students to write their name and the date on their papers, I say, "name, name, name." And they say, "date, date, date." When they are done writing it, they stay silent when I say it again. This way, I can tell how many kids I'm waiting for. When I say it and no one answers me, I know I can proceed. And, there you have it. My many mantras! Why don't you link up too? 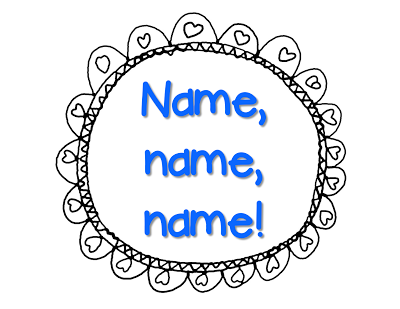 Love your "name, name, name" chant. Brilliant idea! I will have to incorporate that next year. Don't you just love WBT? 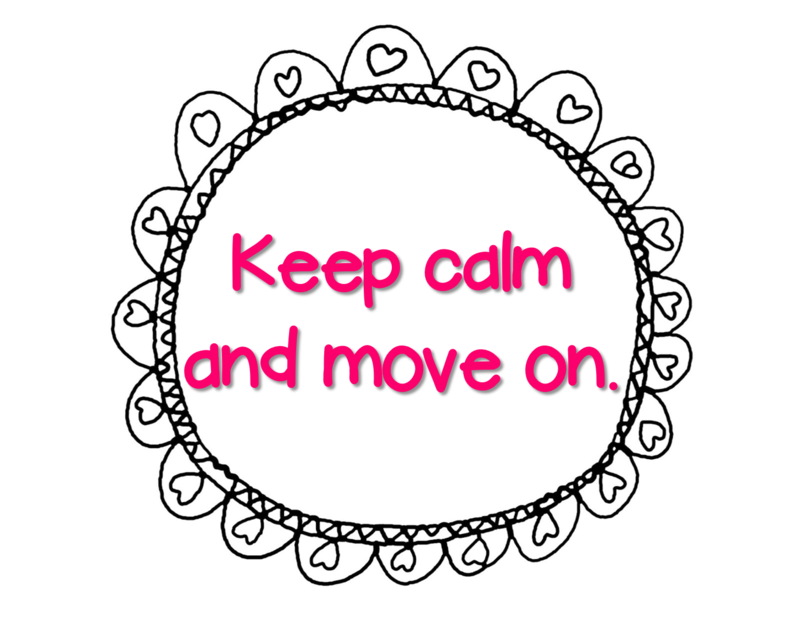 I am definitely going to try it at the end of the day this year. Thanks! 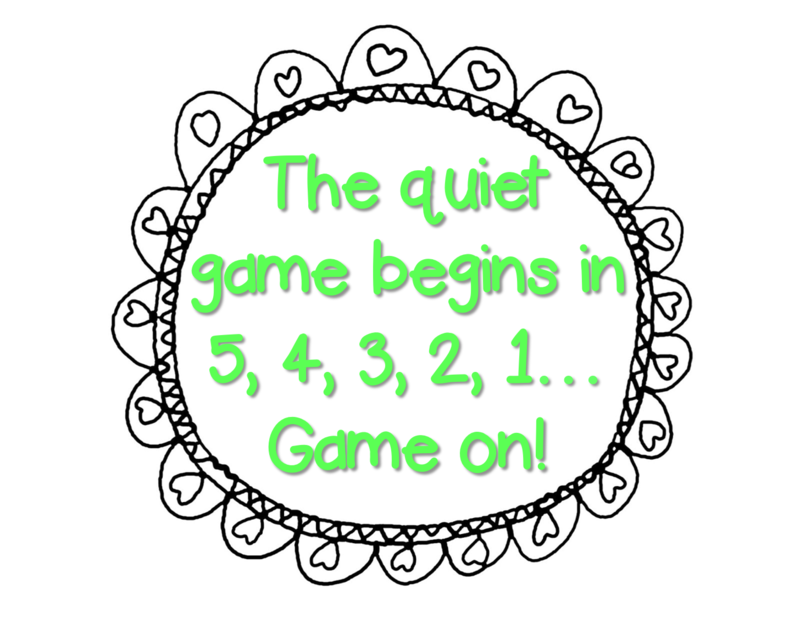 The quiet game at the end of the day is a great idea. I will definitely be doing that this next year! I use some whole brain practices in my class as well. 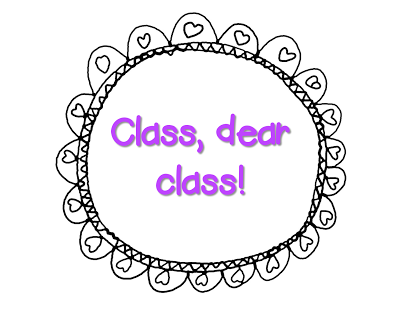 I call "class, class, class" in many silly voices, but I've never exchanged one for another word. I love "yes, dear, year!" Can not wait to use these ideas next year. Thanks Lori...I love your creative add on to WBT. 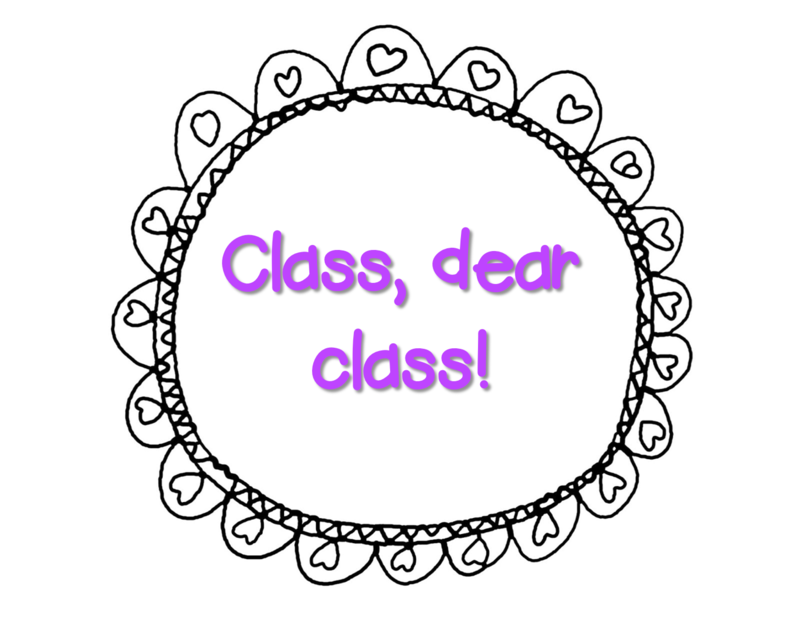 I am teaching Kinder in Australia and I will try the "class,dear,class" TOMORROW. I am so excited to take something that I think will be so special from your blog. I have just become your newest follower! I love the name, name, name idea! I'm a huge fan of brain based teaching as well - the engagement and participation has really livened up my classroom this year. Thanks for sharing great ideas! Okay...so I tried it today and it was gorgeous!! It sounded so cute when they called me dear! Do you mind if I link to you on my blog in the next day or so? I have to share this one. 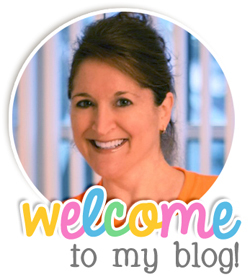 I love your bloglovin' button! Where'd you get it? OMG! I love (and will definitely use)some of your mantras. Love especially the "Name, name, name", "Date, date, date".